I was at HD comparing the 18/20V monster DeWalt and Rigid cordless drills and impact drivers. I was looking for an all around good drill/driver kit that I can use in the shop but also around the house for odds and ends. I don’t have any serious construction projects in the foreseeable future, so I didn’t need the 20V power house stuff that can drive 500 3” deck screws into treated lumber. One thing I really liked was the size/weight of the 12V lines. I compared the Milwaukee, Makita, Rigid, and DeWalt at the store and they all pretty much felt the same in my hand. I read the review on the 12V drills and the DeWalt was noted as the best newcomer with the greatest speed among the competitors. I almost purchased the 18V Rigid kit, which was $179. The 12V DeWalt was $199. I put the kit down when the associate said … “why pay more for less power?”. He didn’t understand that I wanted something smaller so I can drill and carefully assemble my smaller woodworking projects. I took a chance on the 12V DeWalt kit and I’m glad I did. I just built 4 radiator covers using nothing but pocket screws. I drilled at least ~40 holes in each radiator cover. The same battery also drove ALL BUT 3 screws. ~157 screws drilled and driven with the same battery using the Kreg jig. I was amazed at how well the little drill bored the holes (I think 3/8”). It has great torque and speed for drilling. And then I effortlessly switched to the driving mode to send the screws home with a lower torque setting. Extremely impressed with the battery life and power of that little drill. The Kreg jig was amazing too, I think the vacuum attachment helped with battery life because it sucked away all the dust without clogging up the holes. For fun, I tested the impact driver on drilling a few holes and driving some screws. The power that thing kicks out is scary. When the impact mode kicks on, it gets loud (expected), but the tool is wickedly efficient. I didn’t like how I can’t control the torque setting on the impact driver because it would easily send a screw straight through your work if you don’t stop in time. I don’t plan on using this for things other than utilitarian use (building workbenchs, jigs, decks, etc..). I am fully confident that I could tackle large projects with these tools. Granted the batteries will run out faster than the bigger guys, and they don’t produce quite as much torque. However, the light weight design make them amazing for shop tools, and the power will be there when you need to drive that occasional lag bolt into a fence post. 1.) Project Size: Assemble small furniture, drill a couple mortises, drive 50 screws, small construction projects like benches or picnic tables (few lag bolts) ... think about the 12V kit. If you’re building a big shed or deck, driving through concrete, boring 4” holes for dryer vents … think about 18V or 20V. 2.) Size/Weight: Drilling lots of holes and driving lots of screws means picking up and putting down the drill a lot. I found my hand and arm didn’t fatigue at all during my drilling and driving. I could wield the drill at any angle without my hand straining to hold the drill. If your work requires tight spaces and lots of movement with the drill, think about the smaller 12V. If you are driving straight into something and have lots of room, get the 18V with the massive handle attachment. 3.) Power: If you need to drill 200 holes, I bet you can do it with both the 12V and 18V kits. However, the 12V kits will take longer. We’re not talking about 2 hours versus 2 minutes. We’re probably talking 10 minutes versus 5. If you are in a massive assembly mode and time is money, get the more powerful drill and it will take you less time. If you’re a hobbyist and don’t care about the speed difference, think about the 12V. 4.) Battery: The 12V batteries charge in just about an hour. So if you ever ran out, you can pop a fresh one in while it recharges and you won’t have any issues. The 12V line is 1.3-1.5maH which will definitely run out long before the 3.0mAh 18 volters during identical tasks … but with a quick charge time and extra battery I doubt it will ever cause problems. Bigger battery life also means bigger (heavier) batteries. I personally didn’t care about running out and popping a charged battery in. Two batteries will probably last longer than the time I get in the shop before the kids need me. 5.) Tools: There are more 18V tools than 12V tools. If you are looking to expand and possibly get circular saws and sawsalls and all that stuff … you’ll probably want 18-20V kits. I can’t see ever using a 12V saw anyways … I’d just go corded for these types of options. I have the same drill and love it. I also have the bosch dds181 which is a very compact 18 volt drill, but prefer the dewalt. The weight and power in this drill is amazing. I’m thinking about grabbing another for the workshop (the one I have now is for household use.). I didn;t get the impact driver, but I did get the screwdriver (dcf610) and the flashlight (dcl510) and an extra battery. The battery and flashlight were freebies from a recent rebate from dewalt. The screwdriver is a great tool when it comes to assembly. One thing to note; when the dewalt 12 volt max line first came out, all the batteries were 1.3ah. They currently ship with 1.5ah batts instead. You can tell the difference by the box and the label on the drill and batteries themselves. The box will have a silver strip with “1.5 ah” on it. The tools have yellow labels instead of black, and the batteries themselves say 1.5ah. I looked at the same DeWalt combo kit. The kit comes with 2 tools, 2 batteries and 1 charger. Individual tools come with 2 batteries and 1 charger. Purchasing seperately costs about $100.00 more, but you get the 2 tools, 4 batteries and 2 chargers. I chose to purchase them seperately. Had I purchased the kit, I could have bought 2 additional batteries for $100.00, but would still only have 1 charger. I also had a coupon for $30.00 off, so in essence I eneded up paying $70.00 for 2 batteries and a charger. I’ll NEVER have to wait for a battery to recharge. I have this kit too and love it. Mine was an internet only special that came with three batteries, and I have yet to run out of lightweight portable power. My 14.4 v dewalt feels rediculous after holding this driver. I can also compare the impact driver to the Hitachi 12 volt impact driver. The Dewalt is lighter, and more ergonomic than the Hitachi. Power is comparable, but I never drove anything bigger than 1/4” lags. Its nice to have both drivers – one has a three jaw chuck, and one has a quick change hex chuck. They are both light enough to hang from your belt on the included belt clips. Led lights, tiny powerful batteries that are cheaper than the old Ni-Cad batteries—- what more could you want? This kit can handle construction projects such as driving 3” deck screws all day long, but its real advantage is the small lightweight package which excells at furniture building and shop projects. My Dewalt 14.4 v drill still works fine, but I honestly havn’t touched it since I got the new set. Even now, on amazon, the drill is $124.88 and the screw driver is $99.88. So just under $225 would get two tools, 4 batteries, two chargers and two of the storage bags. Really hard to beat that. I bought this drill driver and it’s now my go to tool. Light, powerful and comfortable. Problem I’ve always had with DeWalt is the batteries(14.4) are expensive. For this tool they seem to be reasonable priced. I’m totally amazed at the current 12v, and even some of the 10.8v tools currently available! Cessna, unless they’re nicad or nimh, there are no 12 volt li-ion tools. They’re all 10.8 volts. The “12 volt max” moniker that most companies use now is marketing inflation. When first off the charger, any of the 10.8 volt tools will measure out at 12 volts. After a bit of use, they drop to their typical voltage, 10.8 volts, and stay there until they’re depleted. I agree though, these tools have come a very long way. Even with 18 volt tools; they’re smaller than 14.4 volt tools from a while back and very powerful. The DeWalt 12V driver drill is a nasty, little beast. 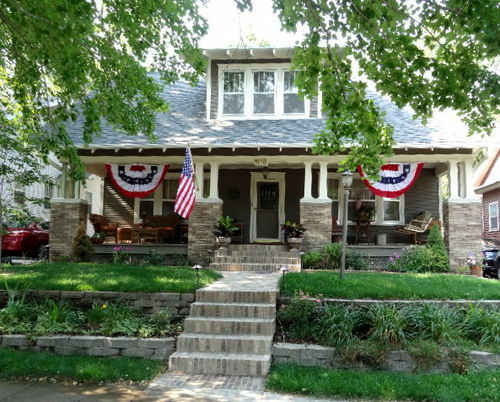 I hired a pro to frame the 10’ x 40’ deck for the front porch on my 1925 Craftsman style home. Swapping batteries, he drove 3” deck screws all day with his 12 volt DeWalt Driver. Needless to say, I bought one, love it, and used it extensively on the rest of the renovation. 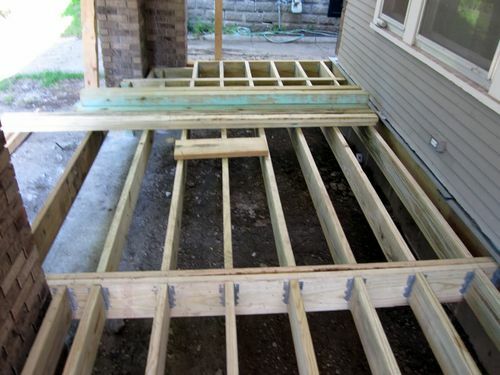 When I took over the remainder of the project, I couldn’t raise the deck screws he put down without buying one. I’m going to add the $100.00 screwdriver to my collection for when the impact is overkill. This way I can have the drill bit chucked in the drill/driver and drive with the screwdriver and not have to rechuck between tasks. Gotta love Yellow & Black! I mean DeWalt, NOT the Steelers!!! The screwdriver is great too. It has 3 led’s on the front like the impact so the work area is really lit up. It only spins at a single speed, 1050 rpm, which is perfect for driving. There’s no need for two speeds for a screw driver. It has plenty of power. I have both the 18v and 12v kits. I must say that I love the 12v it does a great job. With practice you can control the impact driver. I used it to put together the grill cart. I made driving 2 1/4 screws was easy until towards the end when I snapped the tips off two driver bits. You can see the cart here on LJ. Just bought this set. I didn’t like the way the grips felt on the Bosch or Milwaukees. The Hitachi was a close second but the build quality on them looked cheap. So far I’ve only use the impact to remove corroded hex screws inside my oven to change out the ignitor, but the small size made it really easy to get into places and the three lights some on with a little bit of trigger so you can position the bit first in dark recesses. I used the drill to drill out some rivets on a snowmobile tunnel, but the bit kept slipping out so you have to really chuck it down hard. I have a B&D Firestorm 18 volt set which was okay for the price, but the drill is MASSIVE. My only complaint is that they don’t make more things for this platform, specifically a little trim saw.